We are so fortunate to live in a climate that allows for so much time spent outdoors. Trends indicate future homes will have even stronger links to outdoor spaces with designs focusing on courtyards and walls that disappear to open spaces between the inside and outdoors. Future homes may have a smaller square footage with a compromise to have greater outdoor spaces for gathering. 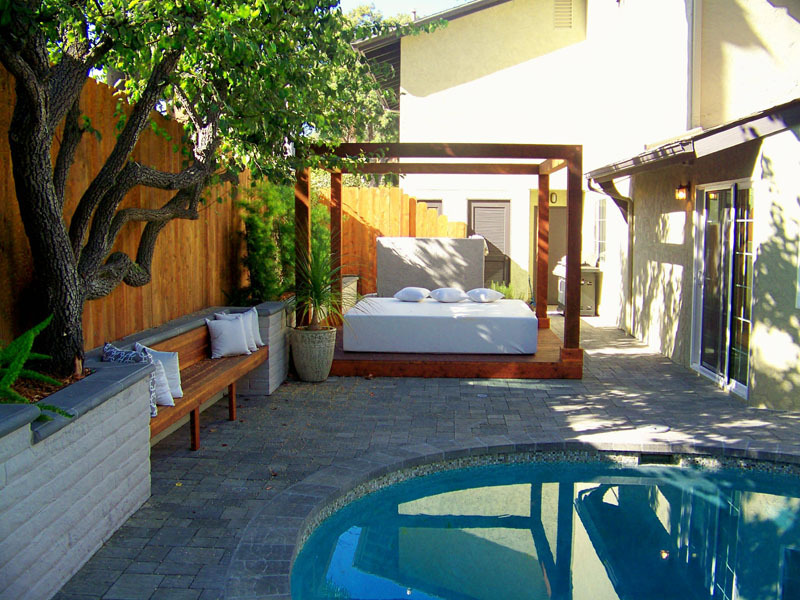 The concept of “outdoor rooms” in the garden has been popular for some time. As our technology has advanced, we’ve discovered that most elements we enjoy inside can now be utilized in an exterior setting. Such outdoor living rooms have evolved to have a central space for entertaining, conversation, dining and relaxing. 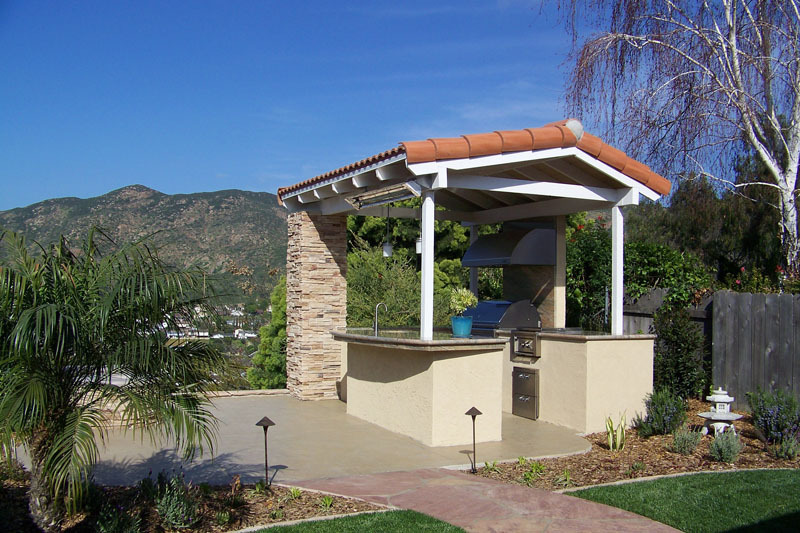 To support these activities landscape designs now include elaborate outdoor kitchens with multiple cooking options, overhead lighting, venting systems, warming drawers, sinks and refrigerators. Clients who prefer to cook outdoors can avoid heating up their kitchens in warm weather or avoid the smell of cooking indoors all together. 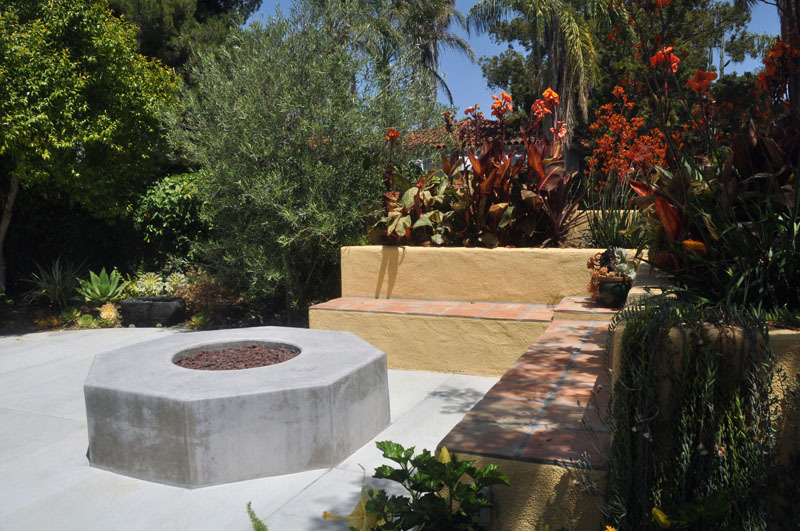 Anchoring a space with a main feature such as an outdoor fireplace or fire pit create a designated area for seating and conversation. Despite our seasonal climate our nighttime temperatures often cool to allow us the primeval comfort of fire. 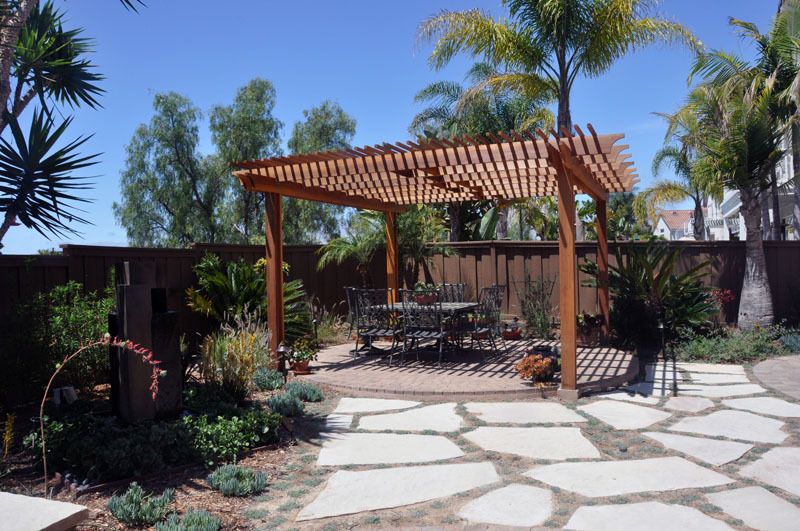 Creating overhead structures for shade is also a great necessity in our environment. Each room will certainly have a “floor” or a patio surface of concrete, stone or interlocking pavers. 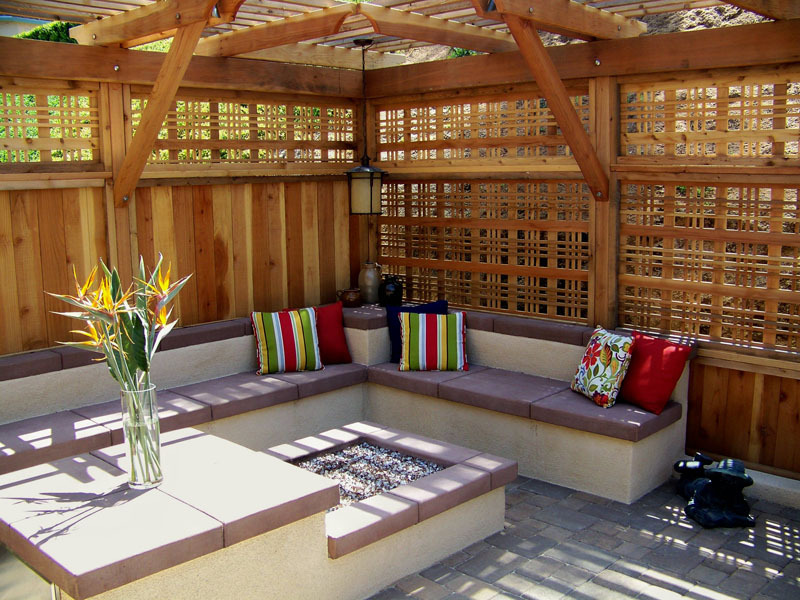 Walls can be partial for seating or full height to offer privacy and screening. And “ceilings” are evolving from the standard wood pergola or arbor to new materials such as vinyl or even metal that can cast interesting shadow patterns on the ground below. 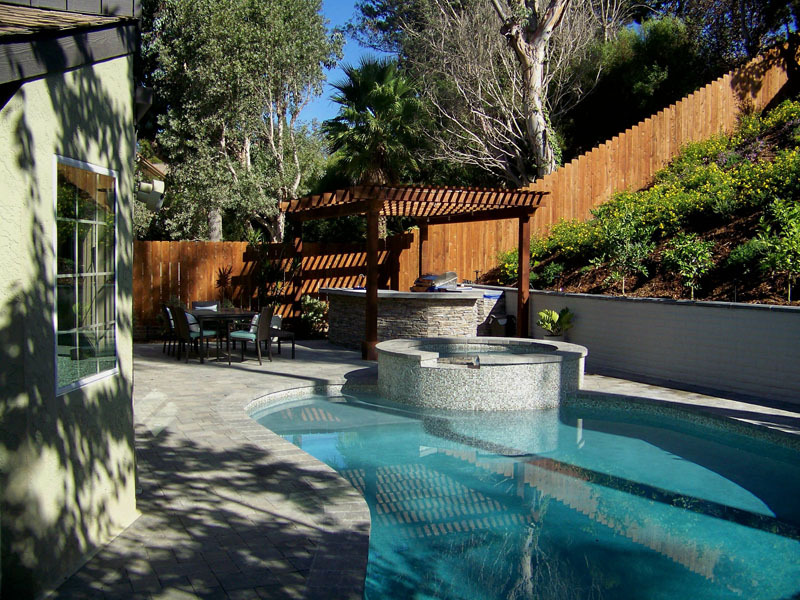 No outdoor living space seems to be complete without the sight and sound of running water. Water features will continue to be a major emphasis in design. The sound of trickling water soothes our senses, blocks out unwanted nearby noise and even offers a sense of cooling. The visuals of water cascading or flowing from one grade to another continue to fascinate the viewer of all ages. The options are endless when it comes to creating something unique to your setting. Lastly, our outdoor living spaces can be enjoyed well into the evening with outdoor landscape lighting. Adding illumination at night certainly can offer safety and direction from one place to another. Landscape lighting is often perceived as the “icing on the cake” to complete the landscape. The overall effects of having a focal point lit at night are outstanding and create an entirely new perspective for homeowners to enjoy. Now that manufacturers have created outdoor television screens, ceiling fans, and all weather furniture we have an unlimited choice of materials to accessorize our new outdoor spaces. With the advent of “green walls” and “green roofs” perhaps our homes of the future will disappear into the landscape altogether with an even greater emphasis on the outdoor living spaces to create our true sense of place. Trends indicate future homes will have even stronger links to outdoor spaces with designs focusing on courtyards and walls that disappear to open spaces.